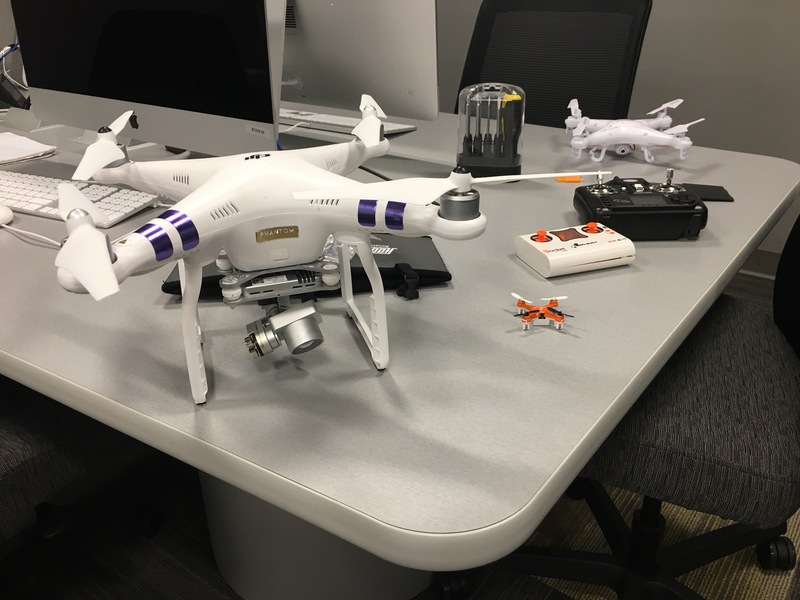 The Drone, The News Photog and I.
I’m writing some classes for Northeast Wisconsin Technical College, where I teach video production, about UAS/Drones. Our local Fox affiliate was out today to interview me for a piece about the courses, and drones in general. I so much prefer to be behind the camera than in front. 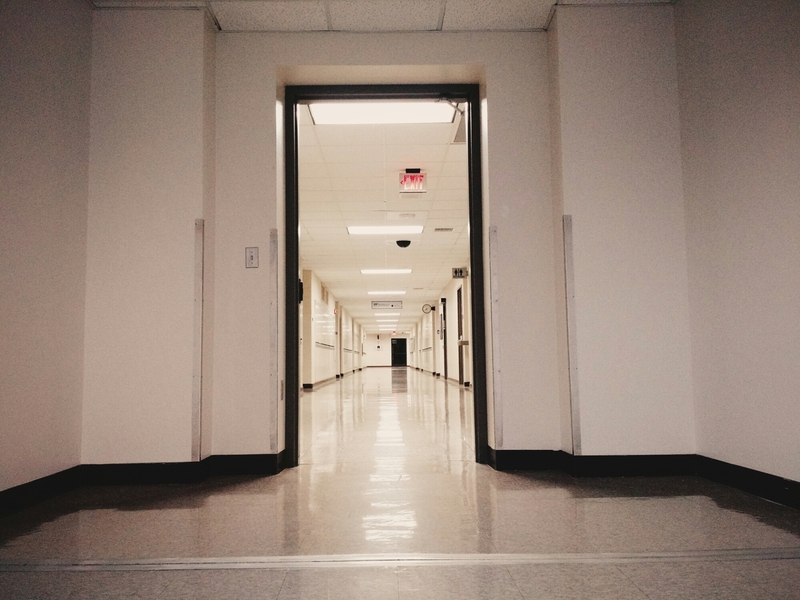 Empty halls must be nearing the end of the semester. Fall 2014 is right around the corner. Instructors are back at school for prep days. For us in the Digital Media Technology program, it’s always a maze for a few days navigating updated software, new login info in the classrooms, adjusting classes and coursework as necessary for incoming students. There’s enough excitement to go around as we get things in place. I thoroughly enjoy teaching this stuff, there’s a satisfaction to pass along something that I am personally so passionate about. So far so good with the Spring 2014 semester. 3 weeks in, a couple of projects seemingly rolling along nicely. 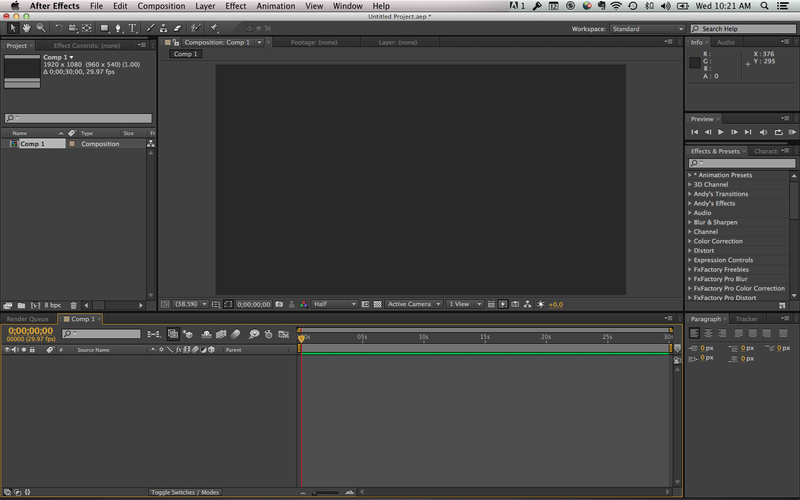 I’m always reminded of how it was when I started a project in After Effects and had that blank slate. It was always rather intimidating, given that I knew very little about the program when I first started using it. So when I start handing out projects to students, I’ve got this nostalgia in the back of my mind of that intimidation, of having to create something out of nothing in what can be a rather freaky and confusing software environment. After a while, no big deal. You get used to the toolset, the interface, just how to make something in After Effects. But at first, whew. I was just glad I had @rovino to pester when I had questions! Was asked today by a guy on Twitter about what some of the challenges are as an instructor teaching post production. We dm’ed back and forth, hopefully we’ll connect again, but it really got me thinking today. Twitter was not the medium for the conversation, hopefully we’ll be in touch in the near future, but thinking about it, at the moment, I had to say one of the big challenges is seeing a student who “gets it” and one who doesn’t “get it”, one for whom the toolset, whatever application it is, works for and with them, and one who is all thumbs and left feet when it comes to the intricacies of storytelling. How does one work with that student for whom the editing process doesn’t quite connect? Got me thinking.